Kites Children’s Services utilises an integrated approach to therapeutic intervention, within which all treatment contexts as identified within ‘The Kites Wheel’ (see below) are facilitated to work in harmony via the structure of the Kites Integrative Treatment Plan, to address key therapeutic and safeguarding prerogatives. Our practice follows a ‘holistic’ model that does not exclusively focus on the sexually offending behaviour but rather integrates various factors associated with sexual offending; including developmental needs, familial functioning, environmental factors, trauma, emotional and mental health issues; personal attitudes, beliefs, social skills; and other emotional and behavioural factors; into a global treatment program. Varied interventions support a holistic model including psychotherapeutic, psycho-educational, cognitive/behavioural, experiential, mindfulness and relapse prevention therapies, delivered through individual, group and familial interventions. Central to this process is robust initial and ongoing assessment leading to individualised therapy and group-based treatment. A reflective, analytic, strategic and facilitative culture is maintained through external reflection and regular case discussion forums, informed through regular outcome measurement, leading to strategic planning to address identified treatment needs across the Kites cohort of young people. A reflective and attachment informed milieu is created through reference to The Secure Base Dimensions that research has shown to be central to the young person’s recovery from trauma and attachment disruption. 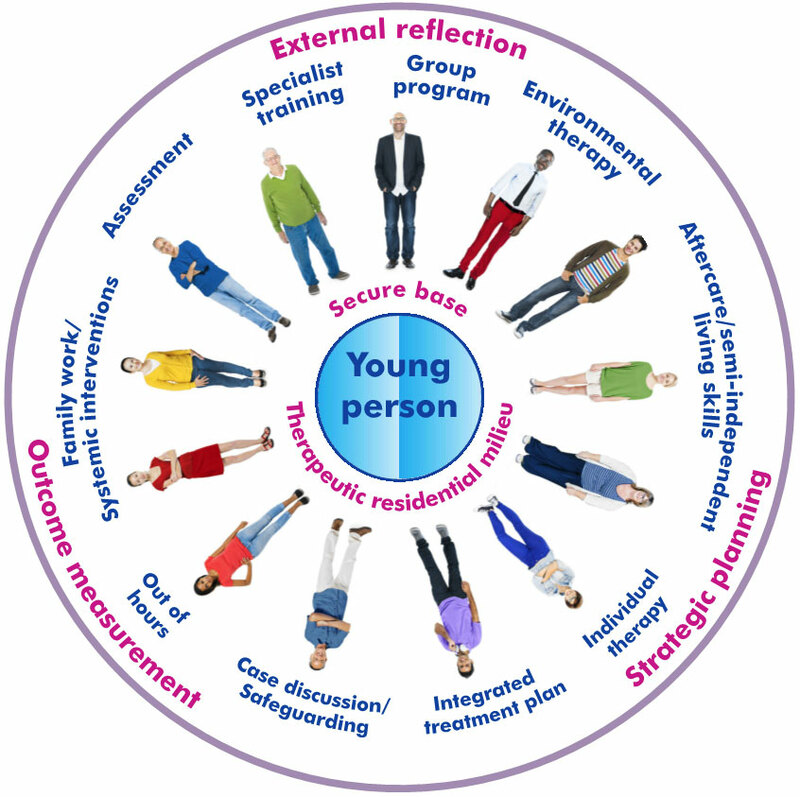 The development of the young person’s self-confidence and self- perception, social skills and resilience are targeted through our environmental therapy and Good Lives Model informed integrative treatment plans, which ensure all key stakeholders in the young person’s life are directed to address key therapeutic targets. Up to date forensic interventions are utilised to address identified criminogenic needs and are implemented through individual therapy, and group and familial interventions. Specialist training is provided to all staff to ensure therapeutic interventions, risk assessment and safeguarding are professionally implemented. Integral to all therapeutic and treatment intervention within Kites is the central belief and philosophy that with the right support, guidance and opportunities, facilitated through attuned and caring relationships, each young person in our care has the potential for positive change.